Lulu’s Lounge, opened at Pan Pacific Singapore by SJS Group and The Privé Group – the same partnership that brought dance club Bang Bang to Singapore in 2014 – combines 1960s New York glitz with modern swagger and plenty of chutzpah. SJS Group is also responsible for the more recent opening of Employee’s Only Singapore in 2015. From its strobing neon signage and lipstick-red leather upholstering to the vintage portraits, recently opened Lulu’s Lounge is a stylish hat-tip to drinking holes of a bygone era. In a sense the throwback to New York of the 60s is a more grown-up, sophisticated version of its more energetic sibling Bang Bang located right next door – if an aging but still very classy socialite recently divorced with millions ever opened up her idea of a bar to entertain friends in her illustrious power circle, Lulu’s Lounge is it. That old school New York vibe extends to the music, but more importantly for us, to the drinks as well. Sure you can avail yourself to bottles of Champagne – and why shouldn’t you – but the concept lends itself best to the cocktail list. Grow A Pear ($26++) combines bourbon, spiced pear liqueur, green chartreuse, rosemary and lemon for a romantic drink, while Call Me Old Fashioned ($26++, main picture) doesn’t mess around with the straight up classic, as is with the My Own Private Negroni ($26++). For those who prefer sweeter, creamier cocktails, the Big Coconuts ($24++, above) is a sassy take on the Piña Colada. The Jerry Thomas Manhattan ($26++) though adds some Grand Marnier to the usual whiskey, vermouth and bitters concoction, while the Whiskey Pucker Up ($25++) puts a slight twist to the original whiskey sour with the use of maple syrup. 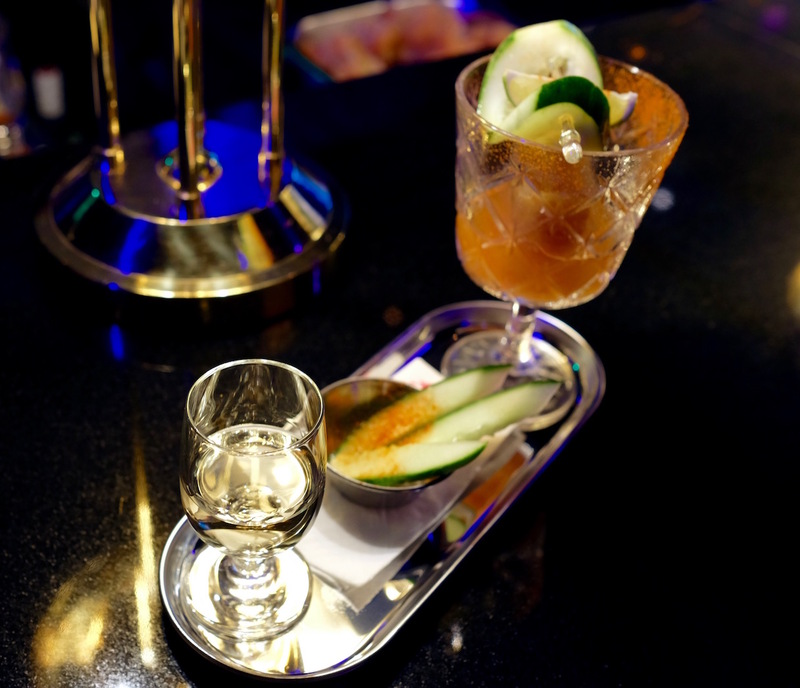 If you’re looking for something spicier though, you can’t go too wrong with Va Va Voom ($24++, above) – it’s a shot of Mezcal served alongside chili dusted cucumber and flavoured ice cubes that you can mix up for a more interactive experience. Cocktail prices here are a little on the high side, but Lulu’s well-heeled friends can afford it. 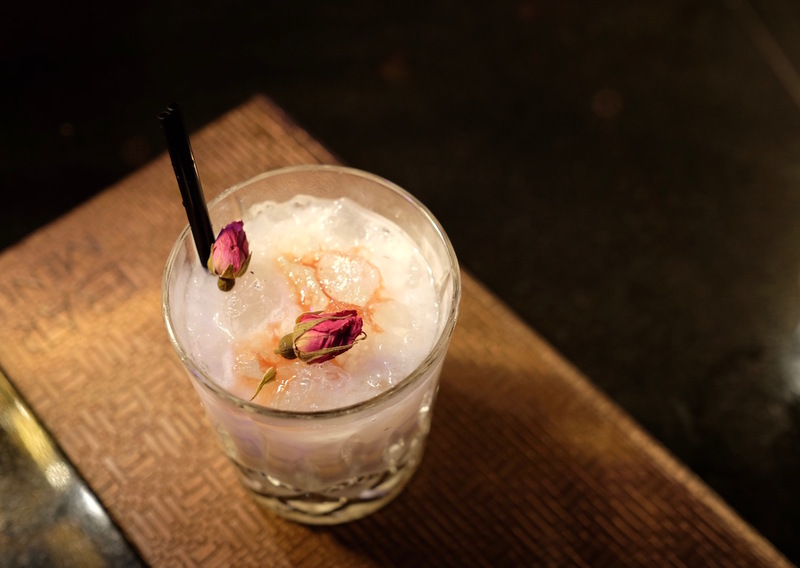 Lulu’s Lounge’s 1960s New York inspiration is a welcome departure from the increasingly tired hidden speakeasy Prohibition-era concepts that’s far too rife these days, and Lulu’s Lounge does not pretend to be anything than her loud, sophisticated self. And that’s what will set her apart from the competition.